← How to control orientation to output PDF file when convert HTML file to PDF file by htmltools.exe command line application? How to uncompress PDF without any issues? Question: When we decompress an PDF file we get some strange output as shown in the image. (when PDF is opened in notepad++)We've tried to decompress this using several libs and tools which decompresses all the stream using zlib. All these options give the same result. Anyone know how to make this more readable? I hope there is a good solution on VeryPDF? Answer: According to your needs, maybe you can have a free trial of this software: VeryPDF PDF Text Replacer Command line, by which you can also use it for searching and replace text with text or image by command line. There is also GUI version of this software, but the GUI version can not be used to uncompress PDF. Please check more detail information of this software on homepage, in the following part, let us check how to use this software for uncompressing PDF. Please go to Try and Buy website and then download the command line version. When downloading finishes, there will be a zip file. Please extract it to some folder then you can check related elements and help documents. Step 2. Uncompress PDF by command line. When you use this software please refer to the usage and examples. When uncompress PDF, you may need the following parameter and command line template. 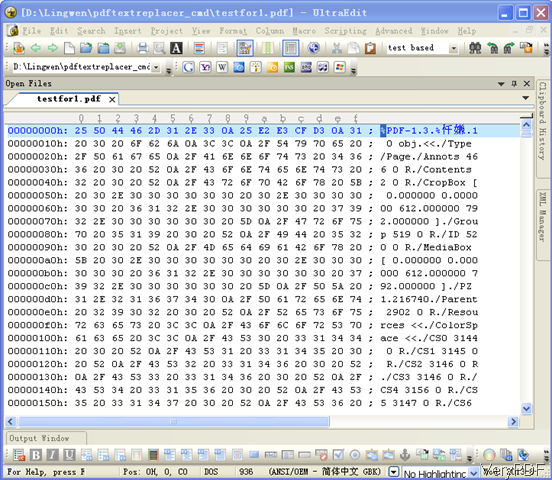 Now let us check the uncompress PDF effect from the following snapshot. Checking from the above snapshot, we can get that when uncompress PDF by this software, you can get all the detail information. Say which object has been uncompressed, what about the original length and uncompressed length. And in the MS Dos Windows, this software will list all the uncompressed part here and then reading PDF for checking problem. 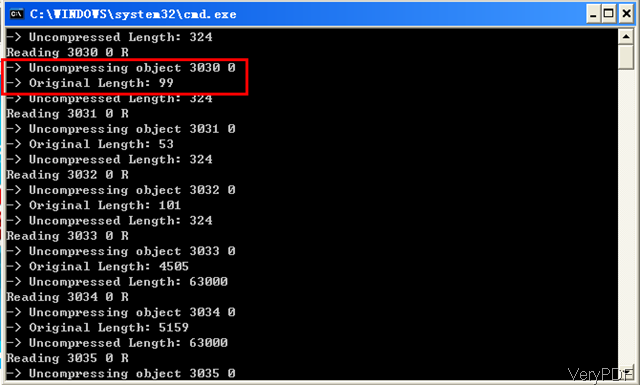 And this software allows you to uncompress PDF in batch. And this software supports all version PDF files and it can help you uncompress PDF files which were compressed by any kind of compression method. 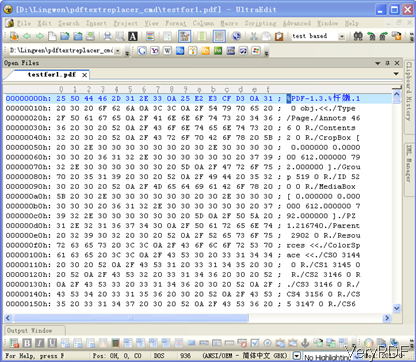 Now let us check the uncompressed PDF by notepad to get more detail information. All the information in notepad are readable. So by this software, you can uncompress PDF without any issues. There are too many functions, I can not list all of them here. Please check more on homepage or help documents. During the using, if you have any question, please contact us as soon as possible. How to compress PDF with compressed stream objects? How to uncompress PDF by command line? How to replace text with image? This entry was posted in PDF Text Replacer and tagged uncompress PDF. Bookmark the permalink.